When it comes to creative wedding photography, the last thing you want to do is hire someone that is just going to rehash other couple's creativity. Your wedding day belongs to you and your future spouse. Your love is unlike any other out there, so why should your wedding pictures be like anyone else's? By hiring the right wedding photographers for the job, you'll get so much more than standard wedding shots that don't stir up any emotions—you'll get everlasting memories that speak to the uniqueness of your love. What is Creative Wedding Photography? For the uninitiated, creative wedding photography is a preset and planned out group of wedding shots that are taken in the days leading up to and on the wedding day. 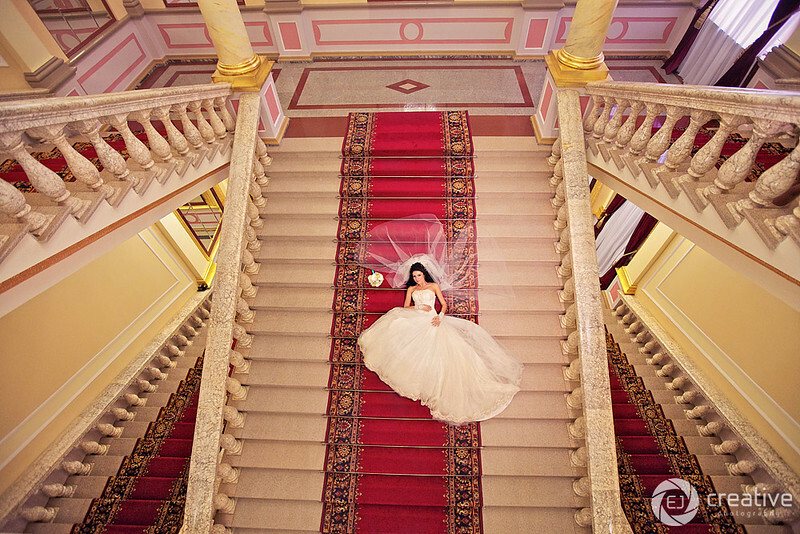 These shots are typically a collaboration between the wedding photographer's visual creative eye and the wants and input of the bride and groom. Whereas standard wedding photos will generally be posing with the entire wedding party, the bride and groom, the bridesmaids, the parents, etc., creative wedding photography takes these same elements and “spruces them up” a bit. By that, we mean just about anything goes. The goal here isn't to capture the wedding as a group photo where everyone has to stand very still and say cheese, but rather to create an image that has substantial impact. This can be for the portrait's creative content, visual effects, photoshopping, lighting, setting, set up, etc. This is why it's called “creative” wedding photography—you can get as creative as you want! If you are going to go with creative wedding photography, the first thing you want to do is contact a professional wedding photographer in your area. Keep in mind that the more you skimp, the less likely it is that you will be working with a true creative professional that has all the right editing software, lighting and cameras you'll need for a professional outcome. As in all things, you get what you pay for with wedding photographers, especially when it comes to using their artistic skills rather than just paying someone to point and click a camera. - How many people are going to be in these wedding photographs and will it be practical with regards to the type of setup you want In the end, your wedding photographer will be able to assist you best, giving you suggestions and pointing out possible problem areas. They will also be able to tell you what can and can't be done, as well as steer you in the right direction. If you haven't spoken with a wedding photographer yet about creative wedding photography, you should do so by clicking here right now and getting the creative juices flowing!